Great news for budget phone lovers, Chines PC and smartphone manufacturer Lenovo has launched world’s cheapest 4G LTE smartphone, Lenovo A2010 priced at Rs 4,990. Lenovo A2010 is on sale through Flipkart from 3rd Sept. The pre registration starting from Wednesday. Lenovo A2010 is already launched in Vietnam in early Aug. at 1,690,000 Vietnamese Dong (Approx. $77/€69/Rs 4,980). It will counter Micromax Canvas Spark and Xiaomi Redmi 2A. The all new Lenovo A2010 supports 4G LTE, Dual-SIM(GSM+GSM), 3G, Wi-fI, Bluetooth,GPS and USB but no 4G support comes with a bigger 4.5-inch FWVGA (480×854 pixels) IPS display with a pixel density of 294ppi for crystal clear view from every angle offers bright clear picture even in sun light. Lenovo A2010 powered by powerful MediaTek (MT6735M) quad-core CPU clocked at 1.0GHz and runs on Android 5.0 Lollipop with Vibe UI 2.0 skin on top with 1GB RAM promising blazing multi-tasking and superior gaming environment while 8GB Internal memory and 32GB expandable memory offers enough space to store your favourite songs, movies, games and apps. Lenovo A2010 sporting a 5-MP rear camera with LED flash promising superior photography in low light and 2-MP front camera best for video calling and selfies packed with a powerful 2300mAh battery measures 130.5 x 66.6 x 9.98 mm. Lenovo has recently launched Lenovo K3 Note priced at Rs 9,999., Lenovo A5000 with 64-Bit Quad-core processor, 4000mAh battery priced at Rs 9,999, all new Lenovo A6000 Pluss at Rs 7,499, Lenovo A7000 at Rs 8,999 in India through Flipkart and Lenovo K80 launched at CNY 1,799 (approx. Rs. 18,400) and Lenovo K80 with 2GB RAM + 32GB ROM at CNY 1499 (approx. Rs. 15,300) slated to go on sale in China from 30th April in black, silver, and red colour option in China. Lenovo A3900 Availability 3rd Sept.
At last few honest word, Lenovo A2010 is coming to rule the budget phone lovers. What you think? Please be open to give your view. 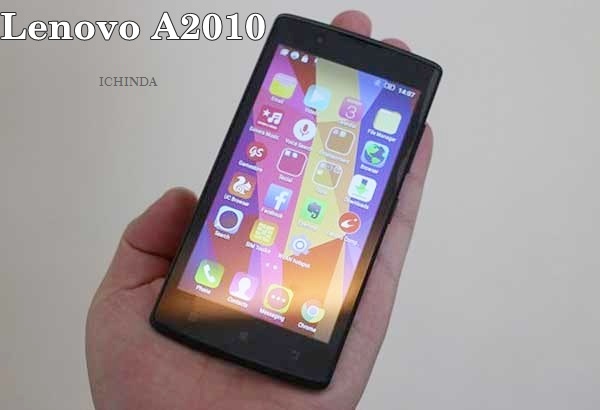 The Lenovo A2010 is a smart phone that is providing 4G facility on this price. Good phone, good feature in very low price. Hi! Does this Lenevo A2010a model which is available on flipkart website support 850 3g band?